Buzzwords Blog: 3AM Magazine: WELCOME! Let me introduce you to Tao Lin, 3:AM Magazine's brand new poetry editor. 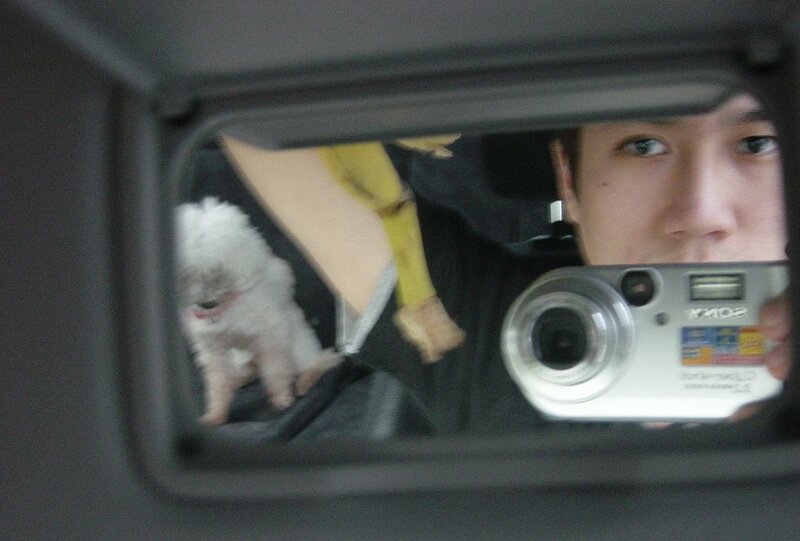 Tao Lin (pictured with a dog and a banana) was born in 1983. He grew up in Florida and now lives in New York City. He is the winner of One Story's 2004 Short Story Contest and New York University's 2004-2005 undergraduate creative writing prize. His fiction features in many publications including The Mississippi Review, The Cincinnati Review, Other Voices, Spork, Dirt Press, The Portland Review, Opium Magazine, Punk Planet Bullfight Review and Fourteen Hills. He is also the author of four books: This Emotion Was a Little E-Book (March 2006, Bear Parade), A Not Yet Titled Chapbook (Summer 2006, Future Tense), You Are a Little Bit Happier than I Am (October 2006, Action Books) and Bed (Spring 2007, Melville House). Welcome on board!